Evening dress size 18 Star by Julian Macdonald. (Debenhams) Gold shimmery with stitched on brooch on bust, full lining, good condition. washable (30degrees), polyester/elatane mix. Length from under bust approx 38 inch. Stunning pencil dress for a special occasion. Very flattering with back zip, back slit, belted. GORGEOUS GOLDS, YELLOWS AND BLACK LOVELY FOR WEDDING/CRUIS. Julien Macdonald Bright Yellow Black Lace Maxi Dress Size 16 Occasion Wedding. Condition is Used. Dispatched with Royal Mail 2ndClass. I offer combined postage, please email me at the end of the auction before paying so I can adjust the invoice. As I use the app, it doesn’t link a buyer to several items. UK Only All my items are clean, from a pet and smoke free home. Unless stated on listing, there are no buy it now prices....so grab a bargain most starting 99p Please check out my other items I am having a massive clear out! GORGEOUS STAR BY JULIENMACDONALD. MULTICOLOURED EVENING DRESS SIZE 16. Condition is Used. Fabulous condition stretch/ bodycon dress with extra loose layer on top. Genuine STAR by JULIEN MACDONALD with inner labels intact. Ruched waist with drape & ruffle front. Stretch slip over fit. Size UK 16. Waist - 17". Beautiful Green Dress By Julien Macdonald Size 18. Condition is fab as only worn for one special occasion. Lovely stretch material for really comfortable fit. Bust lightly padded. Pretty green gem stone detail to front straps. Length from arm pit to hem 32 inches. Lovely Star by Julien Macdonald bodycon /wiggle dress. the dress is unlined. This is in a purple with a black lace trim. This is made in polyester,elastane, lace in nylon,machine washable. the length from the shoulder is approx 41 1/4". Gorgeous Julien McDonald Sleeveless Scuba dress fully lined with a mock belt at the sides. Back zip and has a small kick pleat at the back. size 14 like New Worn Once only selling as I don’t feel comfortable wearing a tight fitting dress. Condition is Used and in excellent condition. Ideal for a wedding, races or special occasions/holiday. Doesn’t crease and no ironing. Dispatched with Royal Mail 2nd Class. Please pay within 24 hours. I only post to the UK. From a clean, smoke and pet free home. Julien Macdonald Dress Size 18. Condition is Used. Stretch fabric, halter style neckline with plunge draping, cobalt and jade stones create draped front. 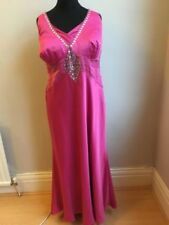 Star By Julian Mcdonald Evening Dress Size 8. Condition is Used. Dispatched with Royal Mail 1st Class. This is a lovely easy wear dress. Stretch material for comfort and fit. Chiffon effect around the neck and on the one sleeve which has a draped gathered effect to the body. No fastenings as material stretches over body to fit. STAR BY JULIEN MACDONALD DRESS SIZE 16 Ideal for any special occasion From a smoke/pet free home If you have any questions please feel free to ask Condition is Worn once Dispatched with Royal Mail 2nd Class. The dress colour is white with beaded design fully lined above the knee with a sheer longer skirt at the back. OCCASION DRESS WITH BEAUTIFUL BEADED PATTERN DESIGN ON TOP. It is an easy to wear dress and perfect for parties, special occasion, evening. Navy One Shoulder Prom Evening Dress Size 8 By Julien Macdonald. Condition is New with defects. Dispatched with Royal Mail 1st Class. Stunning shimmery and flattering evening/prom dress, would fit a size 10. Split up one leg. Unfortunately where it has been stored a few sequins have come away but this could be easily fixed. Also on the side I quickly took it in a bit (my sewing is terrible!!) this isn’t noticeable when on but can easily be undone and if needed sewn better. Julienne MacDonald diamond collection. Stunning cut out detail dress from Star by Julian Macdonald. Size 12 new with tags. Zip to back. Rep£60 Starting bid. 99p. No reserve UK postage only. All items sent 1st class recorded. Red Size 12 Evening Dress. Dispatched with Royal Mail Signed For® 2nd Class. High neck with button fastening at back. Detail on shoulders & waist. Lined to knee. Semi sheer top layer with side split. Elastic at waist on back and bow tie fastening at back. The deep red colour on the main picture shows more the actual colouring of dress. Worn once to an event. From smoke and pet free home. Originally bought from Debenhams. Slight pull in fabric as shown on picture. Dress Size 14. Condition is Used. Dispatched with Royal Mail 2nd Class. Gorgeous Julien Macdonald Dress (STAR) Only Worn Once. Size 14 immaculate . Condition is Used. Dispatched with Royal Mail 2nd Class. star by julien macdonald Dress size 14 Bnwt.Condition is New with tags.lovely for holiday or summer Dispatched with Royal Mail 2nd Class. 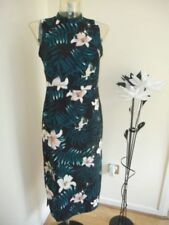 LADIES MIDI DRESS WOMEN'S SIZE 16 - STAR BY JULIEN MACDONAld Worn but still in a very good condition. It can be rinse to refresh. Very nice Black Formal Occasion Dress Size 16 Star Julien Macdonald. Very good used condition. length from shoulder to hem 42,5 inch Please check my other items I combination postage. Thank you. Rainbow underlayer with lace overlay. Bodycon dress by Julien Macdonald - Size 10. Length approx 90cm from shoulder to hem. Condition is excellent, only worn once. Good quality fabric. With free white cardigan, size 8. HENCE STARTING PRICE. I HAVE DESCRIBED THIS ITEM TO THE BEST OF MY ABILITY, STATING WHAT IS VISIBLE TO THE NAKED EYE. Star by Julien MacDonald Size 12.
star julien macdonald animal, floral print cocktail evening dress blue grey 12. Dispatched with Royal Mail 1st Class. Fully lined and in a sateen fabric this dress fastens up the back with a zip. Bought for a wedding but never worn. The perfect alternative to the tradition formal dress. Can be dress up or dressed down. Has a lovely satin look pleated detail to front and back. Only worn twice. Ladies "Star by Julienmacdonald" Midi Black Dress. Ruched Bodice Feature. LONG RED SLINKY DRESS FROM STAR BY JULIEN MACDONALD. LONG FROM SPLIT AT ONE SIDE. LENGTH 42". Beautiful Lace with underlay which is cream. Very stretchy fabric. Black with cream. Size 14. Never been worn so new without tags. Star by Julian Macdonald. Pet and smoke free home Check out my other items having a huge clear out. Ladies size 16 Black Dress STAR by Julien Macdonald from Debenhams BNWT. 21" pit to pit. 41" length. Gorgeous Julien Macdonald Dress Size 8 Petite. Brand New with tags. JULIEN MACDONALD STUNNING PINK & WHITE DESIGN SLEEVELESS DRESS SIZE 14 BNWOT!! This is a stunning dress by Julien Macdonald Debenhams size 14 BNWOT! make Supersized seem small. The material and quality of this dress is just amazing. It would be perfect for a special occasion and it will give you an outstanding look. EX Julien Macdonald Ladies Black Sheer sequence Detailed Sleeveless Mini Dress/Tunic Top Size 16. Condition is BNWOT Dispatched with Royal Mail 2nd Class. Star by Julieanmacdonald black and orange dress.